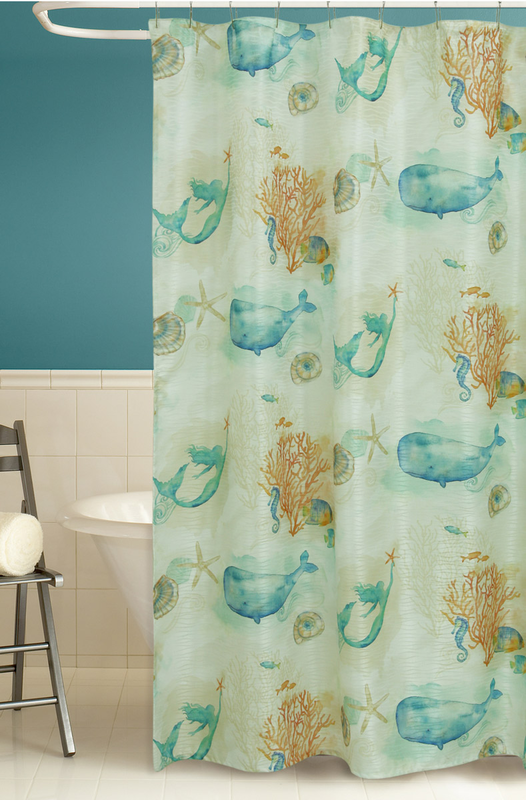 Add style to your bathroom with the Undersea Creatures Shower Curtain. 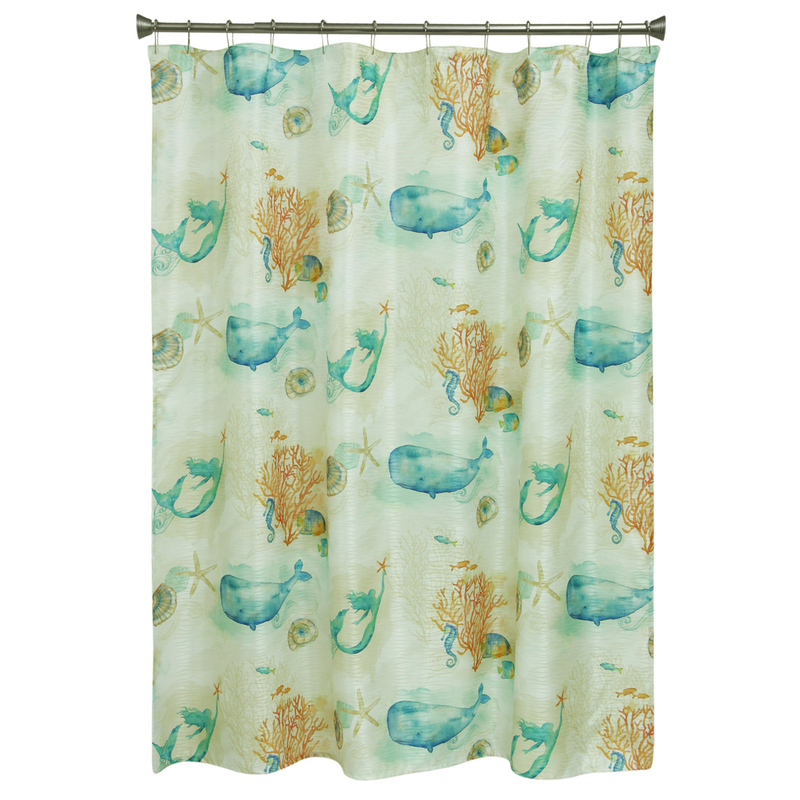 This beach shower curtain features whales, mermaids, coral, seahorses, shells and fish in watercolor blues and orange shades for coastal flair. Ships from the manufacturer. Allow 1 week. Cannot express ship. For even more items, we ask you to take the occasion to explore our full collection of beach shower curtains at Bella Coastal Decor now.